Heidi stars in a video project for school in the twenty-fifth Heidi Heckelbeck adventure! Brewster Elementary School is going to have its very own weekly news program, and there will be a talent contest to find the perfect student host. Melanie Maplethorpe thinks she is destined to be the star of the show, but not if Heidi can help it. With a little magic from her Book of Spells, Heidi instantly becomes famous at her school, but is fifteen minutes of fame enough to make her the right person for the job? 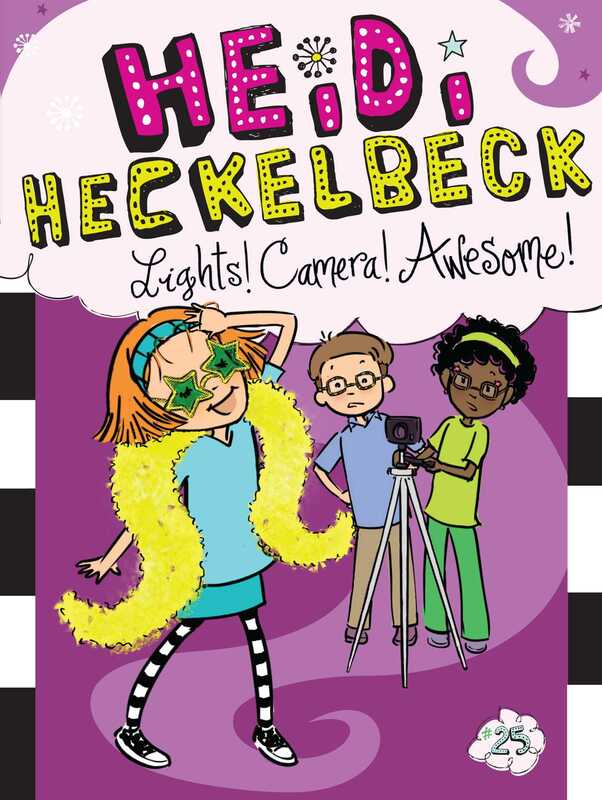 Book Cover Image (jpg): Heidi Heckelbeck Lights! Camera! Awesome!